Spring is the time to give the ornamental beds that fresh edge. To define an edge on the small bed, the typical flat-head shovel will be used to refresh a pre-existing edge. New beds and large beds will need a equipment with a rotating metal block that cuts that deep edge. The new edge definitions will help the mulch or the rocks stay inside a bed during the heavy rain periods. When the property�s bed and the tree rings have properly edged, that site will be visually appealing. Call us today for a free estimate! We offer mulching service. Spring is that time you should freshen up existing mulches, or install that new, fresh ornamental bed. All mulches are spread using the pitchfork and a wheel barrel. This approach leaves smoother end results. Once arrived at the work site, one time a week during mowing seasons, the lawn mower is set at the desired height of deck to promote the future health as well as the growth of turf. If grass is thick and has not met our expectation after a first cut, the "double cut" is done. Double cut will consist of going over cut grass one more time in opposite direction. This process will redistribute the clippings through the turfs evenly resulting in smooth final products. So we can check up with your growth of grass we have maintain all properties one time a week, and every single week directions of cut will be changed. We changed the directions of the cut all weeks to reduce all chances of completely uneven turf wear. The end of season will cause some properties to "burn." This happens when the grass has not been watered enough so it cannot keep up with summer sun. Our skilled employees will then "spot mow." This consists of mowing only the shady or the moist areas with the healthy grass that will not burn. Also, the areas that are burnt might need solace to keep the moisture as well as prevent all future burning. After all turf areas are maintained, there might be grass clippings on the mulch beds, the sidewalks, roads, the decks, patios, the hatchways etc. Before we leave all property, the grass clippings found in the areas are cleaned with a forced air for that neat appearance. The shrubs will be trimmed one time a year during the late spring to the early summer in order to keep the shapely appearance. In order to promote the healthy growth, the dead wood as well as the trunk sprouts will be pruned. The low-lying branches over the sidewalks will be cut to keep the areas safe for all traffic flow. All weeds are defined as any uncultivated, undesired, or harmful plant-life. The weeds and the vines are a constant a nuisance in the ornamental beds. To ensure the shrubs will absorb the appropriate amount of nutrients and the water, the potential suffocating vine must be cleaned by hand. The unsightly weeds can sprout in the pavement cracks and the curb lines. With uses of line trimmers or weed control applications, we may make all unsightly weed disappear. The weeds must be kept in control all visits during the turf maintenance. Once every year it's good you cut down every unwanted overgrowth and the brush growing on every border of property. It will help to keep unwanted plants and the animal life away in woods, not in the backyard. This will give you options of planting the grass and the ornamental shrubbery where the brush was. The borders of property will have a groomed appearance with that natural feel. Each fall after that substantial amounts of leaves will be fallen from the trees we will perform the fall cleanup. The fall cleanup will consist of blowing leaves from all beds as well as around all trees onto a turf where it's bagged by heavy duty collection system attached to the mowers. For large areas we will use a forced air so we can blow the leaves to the curb in a neat line so our leaf collection trucks can pick up. Several trips will prevent all messes in upcoming springs. We will accomplish this way before that first snowfall. 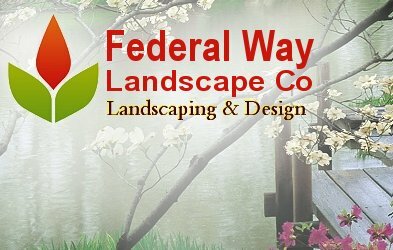 Give us a call now and let us get started on your landscaping job today!